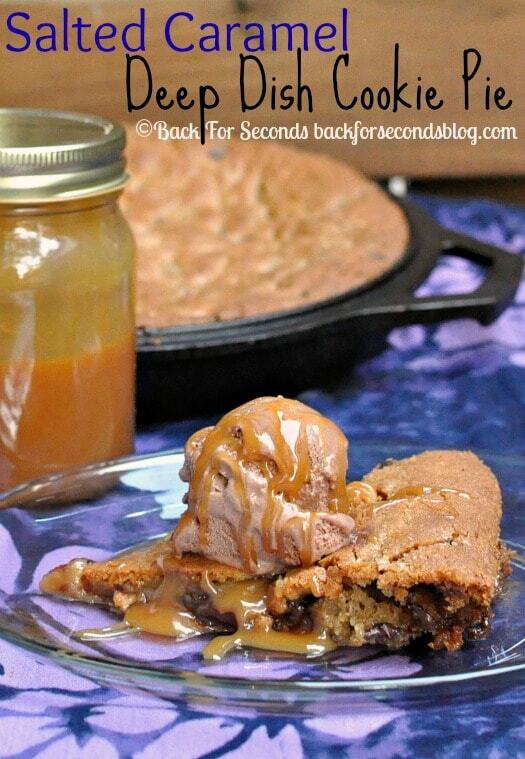 This Salted Caramel Deep Dish Cookie Pie is a scrumptious, impressive treat that will feed a crowd; and no one will guess how easy it is to make! 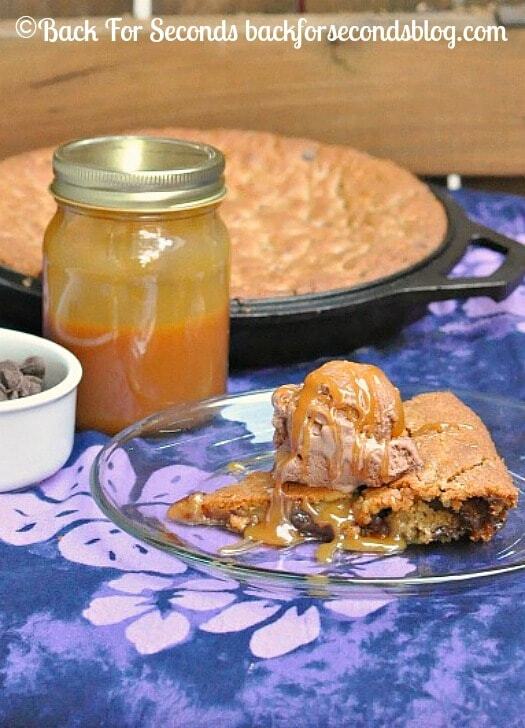 Have you ever made a cookie pie in a cast iron skillet? They are amazing! Deep dish cookie pies are a treat everyone goes nuts over, and they are super easy to make! I think they’re easier than a batch of cookies because you don’t have to do all that scooping. Just pile all the cookie dough into the skillet and bake away! 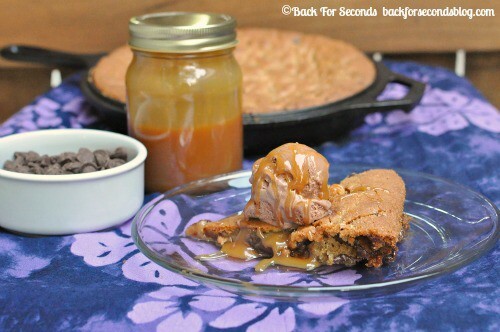 This Salted Caramel Deep Dish Cookie Pie – while simple to make – is no ordinary cookie! The cookie itself is similar to chocolate chip cookie dough except I used all brown sugar, giving it a deeper, caramel like flavor. 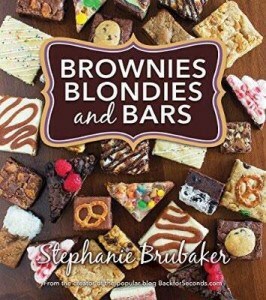 Tucked in between the two layers of cookie dough are little caramel bits that get chewy and gooey when baked. I suggest eating this pie a la mode. The salted caramel sauce is unbelievable on top of warm Salted Caramel Deep Dish Cookie Pie and a big scoop of ice cream. Hi do u have to use a cast iron skillet?